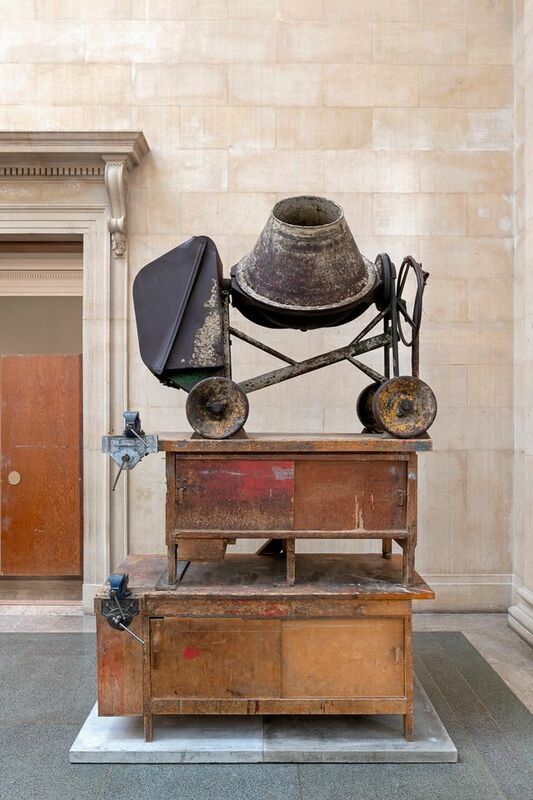 A display of defunct, rusting industrial machines, on show later this week at Tate Britain in the Duveen Galleries (18 March-6 October), point to the decline of British industry and its welfare state post-war, says the artist Mike Nelson. His installation, entitled The Asset Strippers, includes post-industrial remnants sourced online via auctions organised by company liquidators and salvage yards. The objects on show include knitting machines from textile factories, metalwork lathes and haulage parts. Nelson has also created partitions from wood stripped out of a former army barracks in Shrewsbury while some of the side doors are from a hospital in Bolsover Street in London, bringing to mind the welfare state that has deteriorated since the 1980s, he says. The project was also informed by Nelson’s wish to return the Duveen Galleries, the first purpose-built sculpture galleries in England which opened in 1937, to “halls for monumental sculpture”, rivalling the cast courts at the Victoria and Albert Museum. The galleries were “places where people could come and wonder at the sheer physicality of sculptural objects”, Nelson says. Special plinths have been built for each machine, some of which weigh several tons. The installation co-curator, Clarrie Wallis, highlights the human aspect of the piece. “Mike has turned this into a sculpture court with a twist. His father worked in the textile industry, and these monumental pieces are undercut by social commentary,” she says, highlighting how the industrial objects echo other artists’ practices, including Max Ernst, Eduardo Paolozzi and Richard Serra.